Built in 1921 as the tanker E.T. Bedford, at Federal Shipbuilding Co., Kearny, N.J.
Decommissioned, 13 February 1946, at Mobile, AL. Sold by the Maritime Commission, 28 January 1947, to H. H. Buncher Co, agent for Liberty Industrial Salvage Co. Merchant Service Standard Oil N. J. 84k Standard Oil of New Jersey tanker SS E.T. 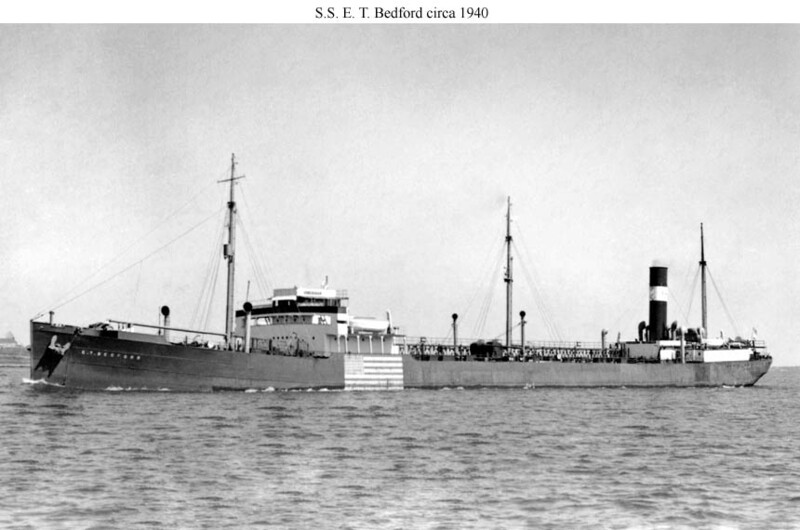 Bedford wearing neutrality markings between 1939 and 1941.